DePaul University Leads the Way in Sales Education by John Golden - SalesPOP! 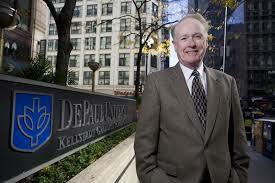 The DePaul Center for Sales Leadership: Making Sales A Career! Today there is an amazing number of students who, following college, enter the sales profession. The downside is that they have not had any sales training—and in fact, relatively few colleges offer sales courses of any kind. 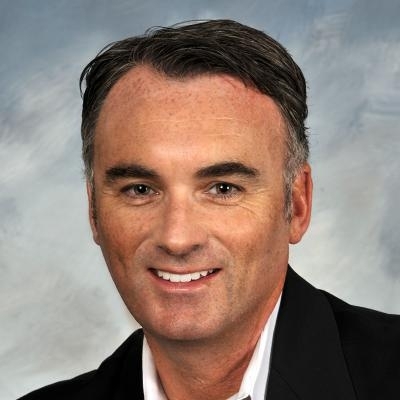 As a result, 40 percent of these salespeople end up failing. In stark contrast to this statistic, however, stands the performance of students from The Center for Sales Leadership (CSL) at DePaul University in Chicago. The CSL offers 11 major sales courses and has approximately 1,000 students taking classes during any term. While most sales jobs turn over on average every 18 months, 75 percent of Center graduates are still with their initial company 3 years following graduation, and moreover, 70 percent have been promoted at least once. The CSL has had a profound impact on sales education. When the Center began in 2004, there were 28 schools teaching sales in some way—usually just one or two courses. Today there are over 130 schools teaching sales, 26 universities that offer 4 or more courses, and 16 schools that have a true sales center. Lately, there has been concern about the gulf between business schools and the corporations that hire their graduates. According to an article in Boston University Questrom School of Business’ Everett magazine, business schools have not kept pace with the industry, leading some to question the ROI of a management degree. The difference between the CSL and many other sales education programs is that at DePaul they focus on developing work-ready talent. This means specifically that students have been exposed to technologies, sales processes and the job itself well before they graduate, and are ready to perform on the job. In addition to classroom education, most have also been through an internship with the company with whom they end up working. Most CSL graduates have over 180 hours of in-class instruction, 40 hours of training and a 400-hour internship. A major reason for the CSL’s success is its intimate connection with major corporations such as 3M, Pepsi, Walgreens, and many others. Currently, 42 companies provide the CSL with financial, technical and executive support. To start with, program business partners are involved in sales curriculum development, providing content for classrooms. They help faculty develop talent by teaching in the classroom. A major benefit of a partner’s classroom participation is that over an academic year they have the ability to witness student growth, increased maturity, leadership skills and to observe how students think. The CSL’s business partners also provide internships for these students, and toward the end of their studies, part-time jobs. While the CSL’s business partners provide significant financial and executive resources in educating students, in the end, they realize the final reward; as the students, they have helped educate, provided internships and employed part-time, become a full-time, long-term employee of their companies. The CSL began when, in 2004, 3M (the Center’s Founding Partner) invited DePaul University to become part of their Frontline Initiative. The Frontline Initiative is a program 3M developed to encourage universities to teach sales. Daniel Strunk, David Hoffmeister, Joel Whalen, and Clancy Ryan took up 3M’s challenge and created the CSL’s 4-course core curriculum and, with 3M’s financial support and guidance, established what has become DePaul’s Center for Sales Leadership. Today the DePaul Center for Sales Leadership continues to grow and turn out successful sales graduates in ever-increasing volume.